Labor Day Lessons- Yes We Can! It’s Labor Day weekend, 2012. Labor Day always represents the closure of summer. Summer represents respite to me…days spent at the beach; travel to vacation destinations; a slackening of schedules and to-do lists. But Labor Day also commemorates our days of laboring. I’d like to share a laboring technique that doesn’t feel quite so much like labor. Let’s face it, most of us have to work. Work can take the form of office labor or the labor intensive responsibilities of being a parent or other responsible adult. Whether we are filling out those endless beginning of school year forms for our children, paying bills or typing on our laptops, do one thing that makes it all more pleasurable. Maybe your scenery isn’t a turquoise ocean, but it still could be a garden, a lake, or a breeze brushing your cheek. Our parents taught us work first, play second. I think we are capable of doing both. If you can and when you can, perform your tasks/ work in an environment that is aesthetically pleasing. It will qualitatively improve your production. And besides, you might not mind doing it so much. 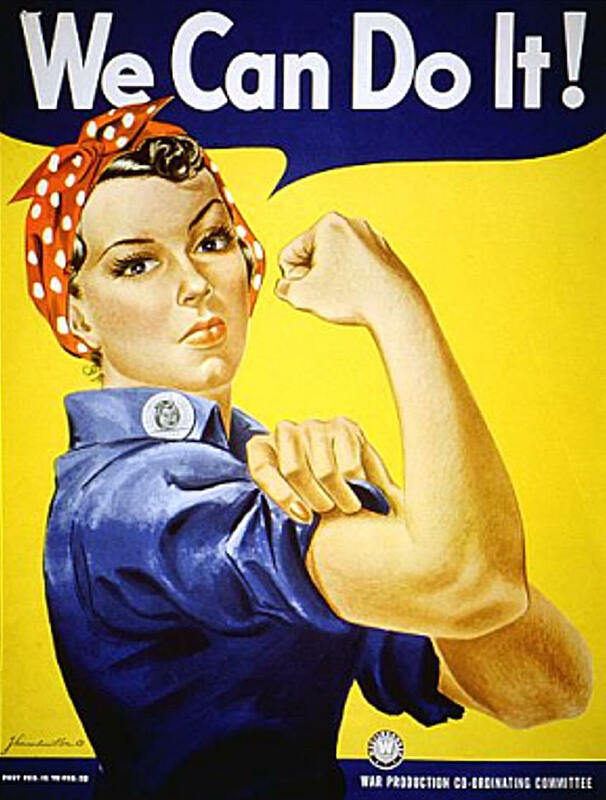 As the poster child for laboring (literally and figuratively) Rosie the Riveter said, “We Can Do It!” Yes, we can.